The Catalan parliament is due to vote on Tuesday (30 January) to elect the president of the regional government, in a debate that will mainly be over the fate of exiled separatist leader Carles Puigdemont. Puigdemont, who was the region's leader until his dismissal by the Spanish government in October, is the sole candidate, with the support of three separatist parties which hold the majority in the parliament after elections in December. But Spain's Constitutional Tribunal said on Saturday that Puigdemont's election will be valid only if he's physically present in the parliament, with an authorisation from the Supreme Tribunal. 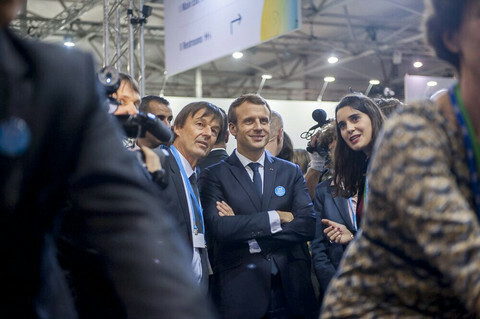 Puigdemont has been in Belgium since October, to escape charges of sedition, rebellion and misappropriation of funds over the organisation of an independence referendum and a unilateral independence declaration. Spanish judges have said that he would be arrested if he came back to Spain. On Monday, Puigdemont posted on Instagram a picture of a street leading to the Catalan parliament. His Spanish lawyer said that he didn't know where the separatist leader was. It remains unlikely that he will actually try to reach the parliament with the risk of being arrested. On Monday, Spanish police increased checks at the country's border with France, in case Puigdemont was driving back from Belgium. "It is obvious that his investiture will be very difficult," noted Jaume Lopez, a political science professor at Barcelona's Pompeu Fabre University. On Monday, Puigdemont asked the speaker of the parliament, Roger Torrent, to grant him "refuge" and use the "necessary means" to ensure his rights as deputy. 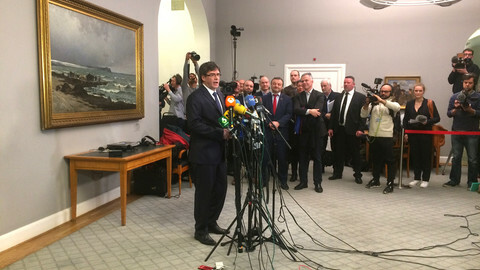 In his letter to Torrent, he said that the Spanish government was "obstructing" his mandate as deputy and his candidacy for president of the government. 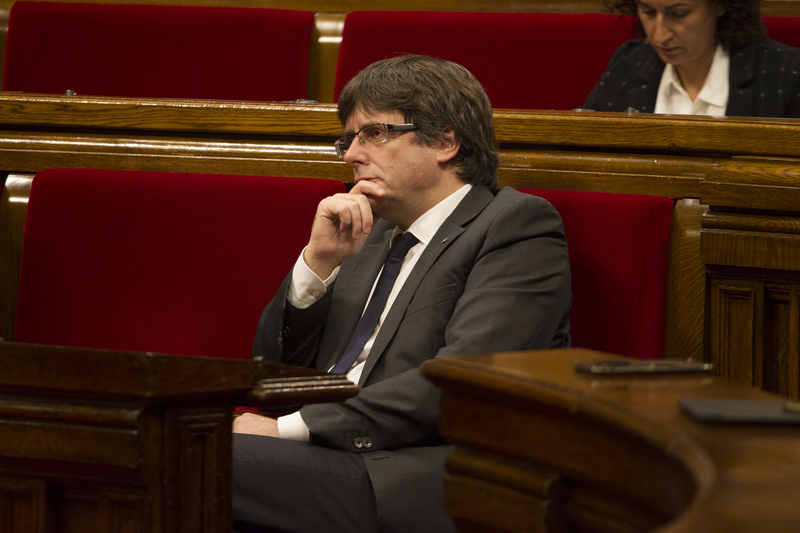 At the same time, the Constitutional Tribunal warned Torrent and other parliament leaders that they could face charges if Puigdemont was to be elected in violation of the conditions set by judges. The leaders of the parliament will meet on Tuesday morning, to decide whether they go ahead with the debate and vote with Puigdemont as sole candidate. At 1pm, just two hours before the session is due to start, the Constitutional Tribunal will discuss whether to uphold or lift the obligations on Puigdemont that it decided on Saturday. 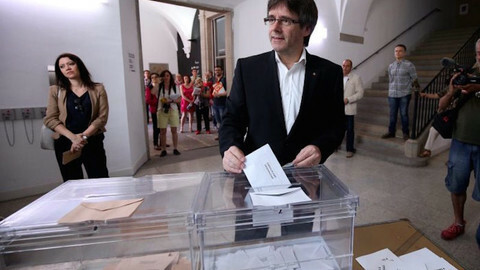 The most probable outcome on Tuesday is a "symbolic vote", with Puigdemont elected and the process suspended by Spanish judges, said Oriol Bartomeus, a political science professor at Barcelona's Autonomous University. Then there would be two options, he said: either a new vote to find an alternative president within a month, or new elections. "But legally speaking, we don't know what could be the next steps towards new elections," he pointed out. So far, the Republican Left of Catalonia (ERC), the main ally of Puigdemont's PdeCat/JUntsxCat party, has supported his claim to the presidency despite the legal risks. "The people have chosen a candidate and we will not renounce. Puigdemont is our candidate," ERC's spokesman said on Monday. But cracks have appeared in the separatist alliance. "It is essential to have a government. If Puigdemont must be sacrificed, we'll have to sacrifice him," Joan Tarda, a respected ERC member of the Spanish parliament, said on Sunday. 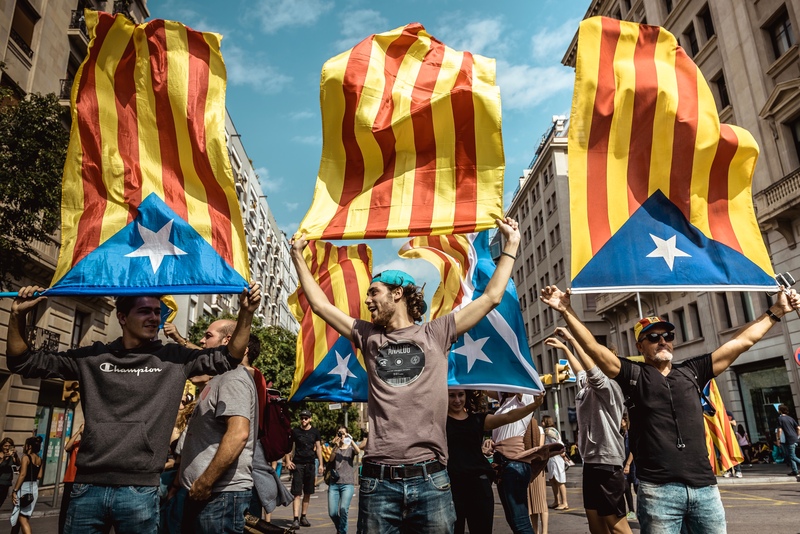 "The separatist victory on 21 December against all the powers obliges us not to play the Russian roulette," he told Catalan daily La Vanguardia. "Maybe ERC would like not to have to vote for Puigdemont, but they don't have enough seats to build a majority for another candidate," Bartomeus said. He added that letting Puigdemont fall would be considered as a betrayal and that "nobody wants to be seen as the traitor". Over a month after elections that were called by the Spanish prime minister, Mariano Rajoy, to solve the crisis in Catalonia, the situation remains volatile. "My impression is that now the institutional conflict revolves around Puigdemont, but it is only an expression of the underlying conflict," said Jordi Munoz, a political scientist at the Universitat de Barcelona. 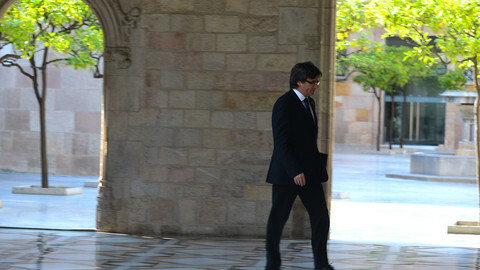 He noted that the suspension of Catalonia's autonomy through article 155 of the constitution, the control of the region's finances by Madrid and the referendum question "would remain even if the Puigdemont issue was sorted out in some way". "We are living a political situation in which the central government has relied on the resolution of the conflict by judges," Lopez noted for his part. 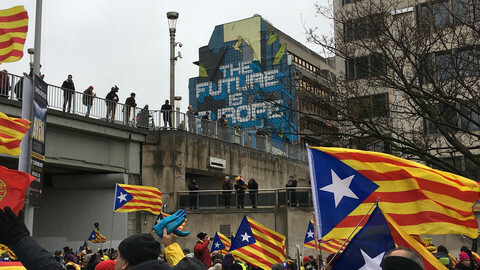 He pointed out that some in Madrid, including in the government, have insisted that article 155 should remain in place not only until there is a new government in Barcelona, but until it is in line with the 'constitutional' forces. But for the Spanish government, as well as for separatists in Barcelona, any new development will depend on what Puigdemont chooses to do. "He has the whole situation in his hands," observed Bartomeus. The political scientist said that the objective of Puigdemont, who still consider himself as Catalonia's legitimate leader and still has political credit despite his Belgian exile, was to push for new elections rather than letting a new candidate stepping in. "At the end, will happen what he wants to happen," he said.